Van Alen Institute, AECOM, and 100 Resilient Cities – Pioneered by Rockefeller Foundation invite students worldwide to enter Urban SOS: All Systems Go, a global ideas competition calling on multidisciplinary teams to identify risks to urban food, energy, or water systems, and offer strategies to make these systems more efficient, equitable, and accessible to diverse populations. 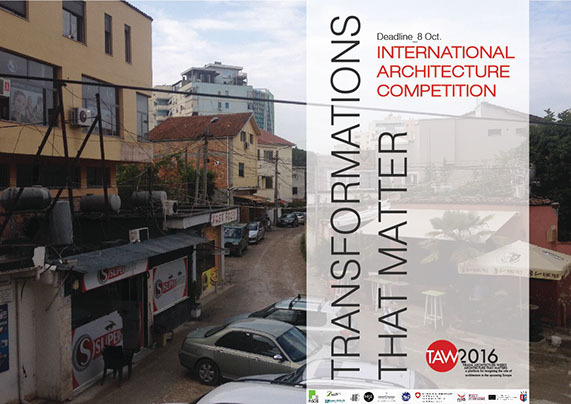 This competition challenges participants to visualize a systemic food, energy, or water infrastructure problem and its consequences, as well as realistic opportunities for intervention, including a prototype of one or more of their strategies that could be realized within the next 12 months. AECOM will make available $25,000 of cash and in-kind staff time to support the implementation of the prototype. To find out more about the competition, download the brief here. Participants can pre-register for this competition here. AECOM is a fully-integrated infrastructure and support services firm with the ability to design, build, finance and operate infrastructure assets globally. More than ever, AECOM is helping to positively impact lives, transform communities and make the world a better place. 100 Resilient Cities was created to help cities become more resilient to the physical, social, and economic challenges that are a growing part of the 21st century. Van Alen Institute collaborates with communities, scholars, policymakers, and professionals on local and global initiatives that rigorously investigate the most pressing social, cultural, and ecological challenges of tomorrow. Building on more than a century of experience, we develop cross-disciplinary research, provocative public programs, and inventive design competitions.